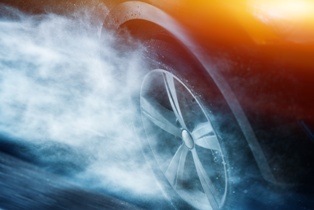 Hydroplaning—which occurs when water on the surface of the road causes a vehicle's tires to lose grip on the asphalt, often leading to a loss of steering control—is one of the most unnerving experiences a motorist can face behind the wheel. While not every instance of hydroplaning results in an accident, those that do can cause serious physical injuries and extensive property damage. If you have been involved in a Hydroplaning accident, contact our experienced Wilmington, DE car crash attorneys today. The period following a car accident can be confusing and overwhelming for any crash victim, but it can be particularly so for the victims of hydroplaning car accidents. Such victims often worry that because hydroplaning usually occurs during wet, rainy weather, insurance companies and legal statutes may consider it an unavoidable act of nature, which could potentially preclude them from seeking a financial recovery for their injuries and other losses. Fortunately, that is not the case. If you were injured in a hydroplaning car accident caused by another motorist, you may be entitled to compensation. Here's what you need to know. Water on the surface of the road. While rain is a common factor in hydroplaning, it is not the only type of water that can create hydroplaning-friendly road conditions. Hydroplaning can also be caused by water from overflowing drains, melting snow, and sprinkler runoff. Driver speed. Driving too fast for the current weather or road conditions is a predictable cause of hydroplaning. Excessive speeds often play a role in hydroplaning accidents that occur as the driver rounds a corner. Poor road design. A poorly designed road that lacks the proper drainage may be prone to flooding during heavy rains, creating conditions that can lead to hydroplaning. Inadequate road maintenance. Ruts and dips in poorly maintained roads provide the perfect place for water to collect on the surface of the asphalt. Insufficient tire pressure or tread. Tires that are not inflated correctly or that have overly worn treads may not handle as intended, meaning that they may not be able to properly grip the road in wet conditions. Slow down. Even in the rain, most tires can maintain good traction up to 35 mph. However, in heavy rain, tires can lose all traction around 50 mph, according to the Delaware Division of Motor Vehicles. Maintain the appropriate tire pressure and replace tires with overly worn treads. Worn out or improperly inflated tires can lose traction at much slower speeds. Slowly ease his foot off the gas. Steer straight ahead. If the driver must turn due to an emergency, he should turn the wheel slowly to avoid causing the vehicle to skid. Avoid hitting the brakes or turning the steering wheel until he can feel the tires regain traction. Were You Involved in a Hydroplaning Car Accident? If you were injured in a hydroplaning accident caused by a negligent motorist, or poorly designed or maintained road, the legal team with the Morris James Personal Injury Group can help you seek compensation for injuries and other damages. Contact the Morris James Personal Injury Group today to schedule a no-cost, no-obligation initial consultation to discuss your hydroplaning accident case.